President of the Canada Border Services Agency made a final determination of dumping respecting liquid dielectric transformers having a top power handling capacity equal to or exceeding 60,000 kilovolt amperes (60 megavolt amperes), whether assembled or unassembled, complete or incomplete, originating in or exported from the Republic of Korea. On March 2, 2012, the Canada Border Services Agency (CBSA) received a written complaint from ABB Inc. (ABB) of Varennes, Quebec, and CG Power Systems Canada Inc. (CG) of Winnipeg, Manitoba (complainants), alleging the injurious dumping into Canada of certain liquid dielectric transformers originating in or exported from the Republic of Korea (Korea). On July 23, 2012, as a result of the CBSA’s preliminary investigation and pursuant to subsection 38(1) of SIMA, the President made a preliminary determination of dumping with respect to certain liquid dielectric transformers originating in or exported from Korea and began imposing provisional duties on imports of the subject goods pursuant to subsection 8(1) of SIMA. On July 24, 2012, the Tribunal initiated a full inquiry pursuant to section 42 of SIMA to determine whether the dumping of the above-mentioned goods has caused injury or retardation or is threatening to cause injury to the Canadian industry. The CBSA continued its investigation and, on the basis of the evidence, the President is satisfied that certain liquid dielectric transformers originating in or exported from Korea have been dumped and that the margin of dumping is not insignificant. Consequently, on October 22, 2012, the President made a final determination of dumping pursuant to paragraph 41(1)(a) of SIMA. The Tribunal’s inquiry into the question of injury to the Canadian industry is continuing. Provisional duties will continue to be imposed on the subject goods until the Tribunal renders its decision. The Tribunal is expected to issue its decision by November 20, 2012. The period of investigation (POI) covered all subject goods released into Canada from October 1, 2010 to March 31, 2012. The profitability analysis period (PAP) used for domestic sales and costing information was from January 1, 2010 to March 31, 2012. The complainants account for a major proportion of the production of certain liquid dielectric transformers in Canada. The only other known producer in Canada is Alstom Grid Canada Inc. (Alstom), located in St. Jean-sur-Richelieu, Quebec. Despite several attempts by the CBSA to solicit information pertinent to the investigation from Alstom, the company chose not to respond. At the initiation of the investigation, the CBSA identified three potential exporters of the subject goods under investigation based on CBSA import entry documentation. An Exporter Request for Information (RFI) was sent to each party. Two of the exporters were located in Korea, while the third was located in the United States of America (US). The investigation revealed that 100% of the subject imports during the POI had been shipped to Canada by the two Korean exporters. The subject goods believed to have been exported by a US company were in fact Korean origin goods that had been transshipped through the US and incorrectly declared as being exported from the US. The CBSA received responses to the Exporter RFI from both Korean exporters: Hyosung Corporation (Hyosung) and Hyundai Heavy Industries Co., Ltd. (HHI). At the time of the preliminary determination, these submissions were considered sufficiently complete to allow for the calculation of preliminary margins of dumping. During the final phase of the investigation, the CBSA received additional information from both exporters to clarify and substantiate their original submissions. As a result, the CBSA considered the responses from both exporters to be substantially complete for purposes of the final determination. The CBSA received responses to the Importer RFI from all three importers: HICO America Sales & Technology Inc. (HICO), Hyundai Canada Inc. (HC) and Remington Sales Co. (Remington). Remington is also known as Remington Sales Co., Remington Transport and Hyundai Heavy Industries Canada. At the time of the preliminary determination, these submissions were considered sufficiently complete to allow for the calculation of preliminary margins of dumping. During the final phase of the investigation, the CBSA received additional information from all three importers to clarify and substantiate their original submissions. As a result, the CBSA considered the responses from these three importers to be substantially complete for purposes of the final determination. At the initiation of the investigation, the CBSA identified five potential consignees of the subject goods under investigation and a Consignee RFI was sent to each party. The consignee is named on the customs documentation and is generally the company in Canada that the goods are shipped to. The CBSA received responses to the Consignee RFI from three out of the five companies: ATCO Electric Ltd., BC Hydro and Power Authority and Hydro One Networks Inc. At the time of the preliminary determination, these three submissions were considered sufficiently complete. During the preliminary investigation, 13 additional consignees were identified from the submissions received. At the preliminary determination, these parties were notified of the investigation and requested to respond to the Consignee RFI. The CBSA received responses from three additional consignees during the final phase of the investigation: Enmax Power Corporation, Epcor Distribution and Transmission Inc. and Hatch Ltd. As a result, the CBSA considered the responses from all six consignees to be substantially complete for purposes of the final determination. Power Transformers are used to increase, maintain or decrease electric voltage in high voltage transmission and distribution systems. Incomplete Power Transformers are subassemblies consisting of the active part and any other parts attached to, imported with or invoiced with the active part of the Power Transformer. 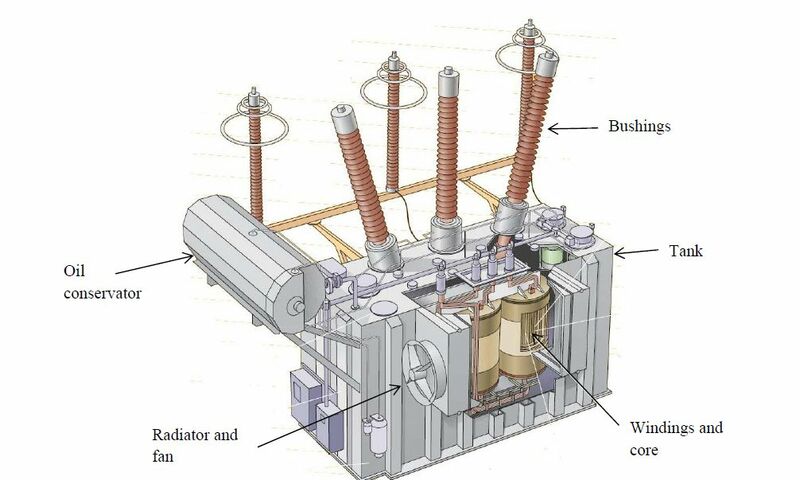 The active part of the Power Transformer consists of one or more of the following when attached to or otherwise assembled with one another: the steel core or shell, the windings, electrical insulation between the windings and/or the mechanical frame for a Power Transformer. The core and winding are placed in a tank, which protects the active parts of the Power Transformer. The tank must be strong enough to withstand an internal pressure of a full vacuum and external factors such as weather. The tank is usually filled with fluid (typically oil) for cooling and insulation. The size of the tank varies depending on the size of the core, number of windings and type of regulation, which itself is a function of the energy being transformed and customer specification. Regardless of the customized configuration, all Power Transformers follow the same basic production process. Assuming there is no order backlog, the process can take anywhere from several to 12 months from order to delivery, depending on the size of the Power Transformer. Larger Power Transformers typically take a much longer time to produce than smaller Power Transformers. Power Transformer production involves a number of key steps: design, core fabrication, coil fabrication, coil-core assembly, tanking, testing and delivery. As previously stated, the complainants account for the major proportion of the production of Power Transformers in Canada. The only other known producer is Alstom. There are no producer-only associations that represent manufacturers of Power Transformers in Canada. There is, however, an industry association, known as the Electrical Equipment Manufacturers Association of Canada (EEMAC) that includes not only Canadian manufacturers of Power Transformers but also a number of importers of Korean Power Transformers. EEMAC also includes producers of electronics, appliances and telecommunications products, such as wire and cable, motors, generators and electric heating. For purposes of the initiation of the investigation, imports of Power Transformers from all countries were estimated based on CBSA import documentation. In instances where it was not clear whether the product described on the import documentation constituted a Power Transformer, a value for duty unit price threshold of $350,000 was applied whereby importations above this threshold were assumed to be Power Transformers. During the final phase of the investigation, import statistics were reviewed and refined. Commercial invoices for all importations into Canada from all countries with a value for duty unit price greater than $200,000 were reviewed in instances where it was not clear whether the product described on the import documentation constituted a Power Transformer. This resulted in the exclusion of numerous goods from all countries that had been previously included in the preliminary estimation of imports. As part of the investigative process, RFIs were sent to all potential exporters, importers and consignees requesting information concerning all shipments of subject Power Transformers released into Canada during the POI. Upon review of the submissions, supplemental RFIs were sent to the exporters and importers for the purpose of clarifying and substantiating the information contained in the submissions. All parties co-operated fully. During the final phase of the investigation, CBSA officers conducted on-site verification visits at the exporters’ premises in Korea. Normal values of goods sold to importers in Canada are generally determined based on the domestic selling prices of like goods in the country of export, pursuant to section 15 of SIMA, or based on the aggregate of the cost of production of the goods, a reasonable amount for administrative, selling and all other costs, and a reasonable amount for profits, pursuant to paragraph 19(b) of SIMA. Where, in the opinion of the President, sufficient information has not been furnished or is not available, normal values are determined pursuant to a ministerial specification under subsection 29(1) of SIMA. The export price of goods sold to importers in Canada is generally determined based on the lesser of the adjusted exporter’s selling price or the adjusted importer’s purchase price. These prices are adjusted, where necessary, by deducting the costs, charges, expenses, duties and taxes resulting from the exportation of the goods as provided for in subparagraphs 24(a)(i) to 24(a)(iii) of SIMA. Where there are sales between associated persons or a compensatory arrangement exists, the export price may be determined based on the importer’s resale price of the imported goods in Canada to non-associated purchasers, less deductions for all costs incurred in preparing, shipping and exporting the goods to Canada that are additional to those incurred on the sales of like goods for use in the country of export, all costs that are incurred in reselling the goods (including duties and taxes) or associated with the assembly of the goods in Canada and an amount representative of the average industry profit in Canada, pursuant to paragraphs 25(1)(c) and 25(1)(d) of SIMA. Where, in the opinion of the President, sufficient information has not been furnished or is not available, export prices are determined pursuant to a ministerial specification under subsection 29(1) of SIMA. In determining the weighted average margin of dumping for the country, the overall margin of dumping found in respect of each exporter was weighted according to each exporter’s volume of subject goods released into Canada during the POI. Based on the preceding, 100% of Power Transformers released into Canada during the POI from Korea were dumped by a weighted average margin of dumping of 19.5%, expressed as a percentage of the export price. Under paragraph 41(1)(a) of SIMA, the President shall make a final determination of dumping when he is satisfied that the goods have been dumped and that the margin of dumping of the goods of a country is not insignificant. Pursuant to subsection 2(1) of SIMA, a margin of dumping of less than 2% of the export price of the goods is defined as insignificant. The margin of dumping of Power Transformers from Korea is not less than 2% of the export price of the goods and is, therefore, not insignificant. A summary of the margin of dumping determined for each exporter is found in Appendix 1. Hyosung is a producer and exporter of Power Transformers to Canada from Korea, its importer being HICO. Hyosung also sells goods of the same general category in its domestic market. The subject goods produced by Hyosung are custom-made, produced to the specific needs of each of its customers and therefore, there are no domestic sales of like goods. As such, it was not possible to determine normal values pursuant to section 15 of SIMA based on domestic sales of like goods. Normal values were, however, determined pursuant to paragraph 19(b) of SIMA, based on an aggregate of the cost of production, a reasonable amount for administrative, selling and other costs, and a reasonable amount for profits. The cost of production was determined pursuant to paragraph 11(1)(a) of the Special Import Measures Regulations (SIMR) based on Hyosung’s verified cost data relating to the subject goods exported to Canada. A reasonable amount for administrative, selling and all other costs was determined pursuant to subparagraph 11(1)(c)(i) of the SIMR. The amount for profits was based on Hyosung’s weighted average profit made on domestic sales of goods of the same general category as the subject goods sold to Canada pursuant to subparagraph 11(1)(b)(ii) of the SIMR. The domestic sales that were selected were those that were shipped during the PAP and an adjustment to this database was made prior to the profitability analysis to exclude certain sales pursuant to paragraph 16(1)(e) of SIMA such that domestic sales chosen were those in the same quantities as those purchased by the importer. In determining the amount for profit made on Hyosung’s domestic sales, pursuant to paragraph 13(b) of the SIMR, the selling prices were adjusted in the manner provided for in sections 3 to 10 of the SIMR. In this particular case, an adjustment was made to the selling prices to account for warranty expenses in the domestic market that were not incurred on sales to Canada pursuant to paragraph 5(b) of the SIMR and an adjustment was made to the selling prices to account for differences between the trade level of the importer and the trade level of the purchasers in the exporter’s domestic market in accordance with paragraph 9(a) of the SIMR. The test revealed that the export prices pursuant to section 24 of SIMA were unreliable and therefore, export prices were determined pursuant to paragraph 25(1)(d) . The total normal value was then compared with the total export price for all subject goods released into Canada during the POI. The results revealed that the subject goods exported to Canada by Hyosung were dumped by a weighted average margin of dumping of 44.4% expressed as a percentage of the export price. HHI is also a producer and exporter of Power Transformers to Canada from Korea, its importers being HC and Remington. HHI also sells goods of the same general category in its domestic market. The subject goods produced by HHI are also custom-made, produced to the specific needs of each of its customers and therefore, there are no domestic sales of like goods. As such, it was not possible to determine normal values pursuant to section 15 of SIMA based on domestic sales of like goods. Normal values were, however, determined pursuant to paragraph 19(b) of SIMA, based on an aggregate of the cost of production, a reasonable amount for administrative, selling and other costs, and a reasonable amount for profits. The cost of production was determined pursuant to paragraph 11(1)(a) of the SIMR based on HHI’s verified cost data relating to the subject goods exported to Canada. A reasonable amount for administrative, selling and all other costs was determined pursuant to subparagraph 11(1)(c)(i) of the SIMR. The amount for profits was based on HHI’s weighted average profit made on domestic sales of goods of the same general category as the subject goods sold to Canada pursuant to subparagraph 11(1)(b)(ii) of the SIMR. The domestic sales that were selected were those that were shipped during the PAP. In determining the amount for profit made on HHI’s domestic sales, pursuant to paragraph 13(b) of the SIMR, the selling prices were adjusted in the manner provided for in sections 3 to 10 of the SIMR. In this particular case, a present value adjustment was made to the selling prices to account for deferred payment terms pursuant to paragraph 5(d) of the SIMR. Since HHI is related to its importer, HC, a reliability test was performed to determine whether the section 24 export prices between HHI and HC were reliable as envisaged by SIMA. The test was conducted by comparing the section 24 export prices with the paragraph 25(1)(d) “deductive” export prices. The section 24 export prices were based on the exporter’s selling prices, adjusted to take into account all costs, charges and expenses incurred in preparing the goods for shipment to Canada and resulting from the exportation and shipment of the goods. A present value adjustment was also made to the selling prices to account for deferred payment terms pursuant to paragraph 27(1)(a) of SIMA. The paragraph 25(1)(d) export prices were based on the importer’s sale prices of the goods as assembled to non-associated purchasers, less deductions for all costs incurred in preparing, shipping and exporting the goods to Canada that were additional to those incurred on sales of like goods for use in the country of export, all costs incurred in selling the goods in Canada (including duties and taxes), the costs associated with the assembly of the goods in Canada and an amount representative of the average industry profit in Canada pursuant to paragraph 22(c) of the SIMR. A present value adjustment was also made to the selling prices to account for deferred payment terms pursuant to paragraph 27(1)(a) of SIMA. The test revealed that the estimated export prices pursuant to section 24 were unreliable and therefore, export prices were determined pursuant to paragraph 25(1)(d) of SIMA. Although HHI’s other importer, Remington, is not related to HHI, the evidence indicates that Remington is not operating at arm’s length with HHI. The CBSA has based its decision on confidential evidence provided by HHI and Remington. Based on this evidence, the CBSA has determined that HHI and Remington are associated and a reliability test was performed to determine whether the section 24 export prices between HHI and Remington were reliable as envisaged by SIMA. The section 24 export prices were based on the exporter’s selling prices, adjusted to take into account all costs, charges and expenses incurred in preparing the goods for shipment to Canada and resulting from the exportation and shipment of the goods. A present value adjustment was also made to the selling prices to account for deferred payment terms pursuant to paragraph 27(1)(a) of SIMA. The paragraph 25(1)(d) export prices were based on the importer’s sale prices of the goods as assembled to non-associated purchasers, less deductions for all costs incurred in preparing, shipping and exporting the goods to Canada that were additional to those incurred on sales of like goods for use in the county of export, all costs that were incurred in selling the goods in Canada (including duties and taxes), all costs associated with the assembly of the goods in Canada and an amount representative of the average industry profit in Canada pursuant to paragraph 22(c) of the SIMR. A present value adjustment was also made to the selling prices to account for deferred payment terms pursuant to paragraph 27(1)(a) of SIMA. The total normal value was then compared with the total export price for all subject goods released into Canada during the POI. The results revealed that the subject goods exported to Canada by HHI were dumped by a weighted average margin of dumping of 15.5% expressed as a percentage of the export price. Following the September 7, 2012 close of the record, case arguments were received on behalf of ABB and CG and on behalf of Hyosung and HICO. Reply submissions were also received on behalf of ABB and CG, on behalf of HHI and HC and on behalf of Remington. The issues raised by the participants in these case arguments and reply submissions, and the CBSA’s response to these issues, are provided in Appendix 2. Based on the results of the investigation, the President is satisfied that certain liquid dielectric transformers originating in or exported from the Republic of Korea have been dumped and that the margin of dumping is not insignificant. Consequently, on October 22, 2012, the President made a final determination of dumping pursuant to paragraph 41(l)(a) of SIMA. Appendix 1 contains a summary of the margins of dumping relating to the final determination. The provisional period began on July 23, 2012, and will end on the date the Tribunal issues its finding. The Tribunal is expected to issue its decision by November 20, 2012. Subject goods imported during the provisional period will continue to be assessed provisional duties as determined at the time of the preliminary determination. For further details on the application of provisional duties, refer to the Statement of Reasons issued for the preliminary determination, which is available on the CBSA Web site at www.cbsa-asfc.gc.ca/sima-lmsi/menu-eng.html. If the Tribunal finds that the dumped goods have not caused injury and do not threaten to cause injury, all proceedings relating to the investigation will be terminated. In this situation, all provisional duties paid or security posted by importers will be returned. If the Tribunal finds that the dumped goods have caused injury, the anti‑dumping duties payable on subject goods released by the CBSA during the provisional period will be finalized pursuant to section 55 of SIMA. Imports released by the CBSA after the date of the Tribunal’s finding will be subject to anti-dumping duties equal to the margin of dumping. The importer in Canada shall pay all applicable duties. If the importers of such goods do not indicate the required SIMA code or do not correctly describe the goods on the customs documents, an administrative monetary penalty could be imposed. The provisions of the Customs Act apply with respect to the payment, collection or refund of any duty collected under SIMA. As a result, failure to pay duty within the prescribed time will result in the application of interest. Normal values will be provided to the cooperating exporters for future shipments to Canada in the event of an injury finding by the Tribunal. Information regarding normal values of the subject goods should be obtained from the exporter. Where a specific normal value has not been determined, the normal value will be established by advancing the export price by 118.1% based on a ministerial specification pursuant to section 29 of SIMA. The advance is based on the highest amount by which the normal value exceeded the export price on an individual transaction for a cooperating exporter. Anti-dumping duty will apply based on the amount by which the normal value exceeds the export price of the subject goods. Under certain circumstances, anti-dumping duty can be imposed retroactively on subject goods imported into Canada. When the Tribunal conducts its inquiry on injury to the Canadian industry, it may consider if the dumped goods that were imported close to or after the initiation of the investigation constitute massive importations over a relatively short period of time and have caused injury to the Canadian industry. Should the Tribunal issue a finding that there were recent massive importations of dumped goods that caused injury, imports of subject goods released by the CBSA in the 90 days preceding the day of the preliminary determination could be subject to anti-dumping duty. there are concerns regarding the potential incomplete and/or inconsistent reporting of spare parts and accessories. the CBSA should adjust the industry profit used in HICO’s export price calculations pursuant to section 25 of SIMA. It does not provide a fair comparison between the export price and the normal values. the CBSA should calculate the industry profit for the purposes of export price calculations in a certain manner, identified in the brief as confidential. ABB and CG have manipulated the record submitted by Remington and HC by referencing certain sales. HC’s amount for profit for the subject goods can be derived directly from Appendix B of its submission whereby the resale prices, acquisition costs and all selling expenses (other than general expenses which can be applied as a ratio from the financial statements) have been detailed. The CBSA used the information on the record to determine normal values, export prices and the resulting margins of dumping in accordance with the provisions of SIMA and the SIMR. Specific details by exporter, addressing many of the aforementioned representations, were presented in the dumping investigation section of this Statement of Reasons. Paragraph 22(a) of the SIMR states that the amount for profit is the profit that is generally made on sales of like goods in Canada by vendors who are at the same level of trade as the importer and who sell to unassociated purchasers in Canada. If an amount for profit cannot be determined under paragraph 22(a), then paragraph 22(b) provides a second method using the profits generally realized on sales of goods of the same general category as the goods for which we are determining export price. And, if an amount for profit cannot be determined under either paragraph 22(a) or (b), then paragraph 22(c) authorizes the use of profits realized on sales in Canada of goods that are of the group or range of goods that is next largest to the goods of the same general category. During the preliminary phase of the investigation, profit and loss information was requested from eight parties, including three Canadian producers, three importers of subject goods and two other importers (importing from other countries). Of these, profit and loss information was received from the two complainants, the three importers of subject goods and one additional importer whose submission was incomplete and not considered. At the preliminary determination, requests for profit and loss information were again sent to the one remaining Canadian producer and to three additional importers (importing from other countries) not previously contacted. In this regard, no additional responses were received. The complainants provided profit and loss information covering goods that fall within the provisions of paragraph 22(a) of the SIMR – “sales of like goods”. The information provided by the complainants was used by the CBSA in determining the amount for profit. HC provided profit and loss information very late in the investigation, on the closing of record date, relating to its imports of the subject goods that would have met the provisions of paragraph 22(a) of the SIMR; however upon review, this data was found to be erroneous. Since the CBSA was unable to follow up with HC on the error (the record had closed), this data could not be used for purposes of the amount for profit calculation. HC also provided profit and loss information, in their initial submission, which met the requirements of paragraph 22(c) of the SIMR – “sales of goods that are of the group or range of goods that is next largest to the category referred to in paragraph 22(b)”. This information provided by HC was used by the CBSA in determining the amount for profit. Remington provided profit and loss information that would have met the requirements of paragraph 22(c) of the SIMR, however, the information could not be used as presented. The reasons why this information could not be used are considered confidential. HICO provided profit and loss information, however, this information could not be used as HICO is a non-resident importer and it did not segregate its Canadian sales from its entire North American sales base. In the Canadian Power Transformer market, the CBSA considers the functions performed by manufacturers in selling to the end-users are the same or substantially the same as the functions performed by distributors in selling to the end-users. In effect, manufacturers and distributors are considered at the same level of trade as they both compete directly for the same customers. Based on the foregoing, the CBSA determined the amount for profit in Canada, using the best information available pursuant to paragraph 22(c) of the SIMR. The group or range of goods that is next largest to the goods of the same general category includes the complainants’ and HC’s profit and loss information, which includes two Canadian manufacturers and one Canadian distributor (importer). Due to the nature of Power Transformers, in that they are capital goods, there are long lead times in between the sale of the goods (i.e., the purchase order date), their manufacture and shipment. Generally, the process takes anywhere from several months to 18 months from order to delivery. The POI for this investigation relates to all subject goods released into Canada from October 1, 2010 to March 31, 2012. As such, the CBSA looked at all shipments of the subject goods to Canada during this time period. All of the sales for these shipments occurred during a period from mid-2009 to early 2011. In accordance with paragraph 13(a) of the SIMR, the sales used for the amount for profits are those sales that satisfy the greatest number of conditions as set out in paragraphs 15(a) to (e) of SIMA, taking into account subsection 16(1). These conditions include sales to purchasers with whom the exporter is not associated and who are at the same or substantially the same level of trade as the importer, in the same or substantially the same quantities as those to the importer, in the ordinary course of trade for use in the country of export, during a 60-day period that ends in the interval that runs from the first day of the year preceding the sale to Canada to 59 days after (or longer, if required) and at the place from which the goods were shipped directly to Canada. In selecting sales that satisfy the greatest number of conditions as required by paragraph 13(a) of the SIMR, the CBSA selected sales to purchasers with whom the exporter was not associated, to the same or substantially the same level of trade as the importer, in the same or substantially the same quantities as those to the importer, in the ordinary course of trade for use in the country of export and at the place from which the goods were shipped directly to Canada. As to which sales were used to determine the amount for profits, the CBSA selected domestic sales that were shipped during the PAP (i.e., from January 1, 2010 to March 31, 2012). These sales were selected due to the nature of the product, in that sales can occur up to 18 months prior to their shipment. These domestic sales occurred at the same or substantially the same time as the subject goods that were released into Canada during the POI. In selecting sales in this manner, the CBSA was able to avoid using sales during the PAP that were sold but not yet produced and/or shipped, as the costs associated with the manufacture and/or shipment of those goods would not have been fully realized. Representations of concern were made on behalf of the complainants regarding the potential incomplete and/or inconsistent reporting of spare parts and accessories. The sales of Power Transformers, both to Canada and in the Korean market, often include spare parts and accessories, such as extra bushings, monitoring equipment and tap changers. The product definition refers to liquid dielectric transformers having a top power handling capacity equal to or exceeding 60,000 kilovolt amperes (60 megavolt amperes), whether assembled or unassembled, complete or incomplete. Incomplete Power Transformers are subassemblies consisting of the active part and any other parts attached to, imported with or invoiced with the active part of the Power Transformers. Accordingly, spare parts and accessories when invoiced with the subject goods form part of the product definition. Cognisant of this issue, the CBSA took special care to correctly account for spare parts and accessories in both the normal value and export price calculations for purposes of the final determination. On September 7, 2012, prior to the closing of the record, two submissions were received on behalf of HHI, HC and Remington. The reply submissions, filed on behalf of ABB and CG, on September 21, 2012, included new case arguments regarding these two submissions that were not previously addressed in their case arguments. On September 28, 2012, an objection to ABB’s and CG’s reply submissions was filed on behalf of HHI, HC and Remington. The objection stated that any replies with regard to the September 7, 2012 submissions must be struck from the record as the September 7 submissions were received prior to the closing of the record and therefore, are not case arguments. Case arguments are an opportunity for all concerned parties to make representations concerning the issues of a particular investigation based on the information on the record. Reply submissions provide an opportunity for all concerned parties to comment on the opposing parties’ case arguments. No new information or arguments are to be presented in reply submissions. Since the September 7, 2012 submissions made on behalf of HHI, HC and Remington were received prior to the closing of the record, they were not case arguments. Accordingly, any comments contained in the reply submissions filed on behalf of the complainants, ABB and CG, on September 21, 2012, addressing these submissions, were not taken into consideration for purposes of the final determination.